Being a writer, perhaps the hardest thing you have to do on a daily basis is find the inspiration and the creative drive to keep going. Whether you’re tackling how-to-guides, or you’re creating an inspiring new post, you need to have that inspiration handy. 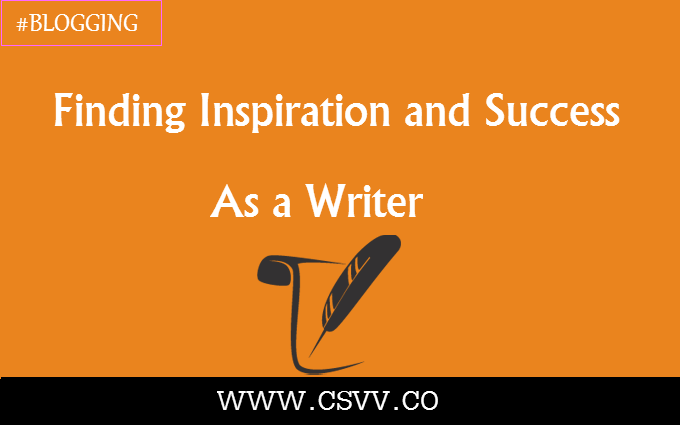 Finding Inspiration and Success as a Writer. What happens when the well runs dry, when you feel like life is holding you back? How do you keep going? Today we’ll look at some ways to keep your writing alive and moving, along with an infographic that will help you form the habits and use the tools of a successful writer. If you’re stuck on a specific project, it may help to make a website that you can refer to when you’re in those creative ruts. Maybe you can write about your creative block and how you plan to get over it? The sky’s the limit, but getting there can require a few breaks where you stop and think. The more you read, the more ideas you’ll absorb. You’ll have an endless well of inspiration to pull from if you’re always experiencing new books and stories. Even if you just read other blogs, that will also help. I once had a creative writing professor suggest this to me, and it has worked more times than I can count. While I’m not a fan of eavesdropping, I do think that accidentally overhearing a conversation in public can sometimes give you the out-of-context quote you’re looking for to spark an idea. Now it’s time for the infographic that will change your perspective on writing. With these habits and tools, you will have everything you need to become successful. Let us know how these tips helped you in the comments!